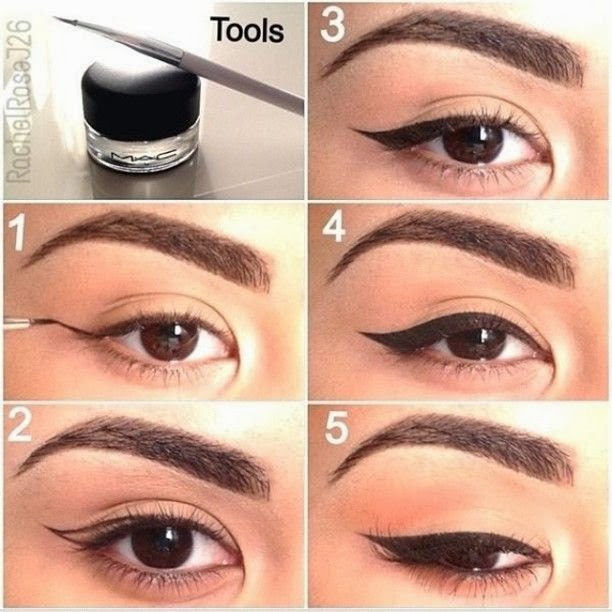 Best trick for a perfect eyeliner. Eyeliners gives a definite shape to your eyes and makes them look bigger. Many girls faces problem that their liner is not equal or their shape is not identical. For that reason there is a perfect trick for all the girls. First draw a line on the outer corner of the eye towards the end of the brow line. Draw a second line from the center of the eye towards and join it with the first line. Now fill the shape with liner. You can broaden the liner easily if you want.